SPARK provides a series of health, wellness, fitness and social engagement programs for low-income seniors and youth in target areas. It also includes a workforce component provided in collaboration with Opportunity Inc, the area Workforce Board for youth employees, to work as program assistants within target communities. SPARK, launched in the summer of 2017, is a combination of the Healthy Eating and Active Lifestyles programs. It provides opportunities for low-income youth and seniors to become more physically and mentally active as well as supports the provision of healthy foods. 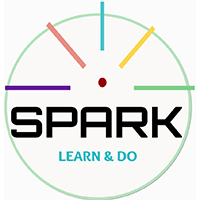 The SPARK Learn and Do program combines a variety of stimulating physical and mental activities, healthy eating education and a food access program. The food access program for the seniors features a hot lunch, provided by Senior Services of Southeast Virginia, four days-per-week for program participants. Fitness, Art-of-the Healthy Brain, sewing, and other classes are provided free to program participants. The youth food program operates during the summer with meals provided by Chesapeake Public Schools Nutrition summer feeding program. We support a student employment program through Opportunity Inc., placing students as program assistants. SPARK activity boxes are distributed to summer feeding sites. The boxes provided fitness and art resources and a program guide for the feeding site coordinators to use during their daily feeding with the youth from their communities. Our newsletter is where we keep our community up to date on the latest Healthy Chesapeake news. Stay connected and sign-up now! ©2019 Healthy Chesapeake. All rights reserved.